It's true that mini things are almost always more delicious… sliders, mini cupcakes, one bite brownies, etc. I try to do something for my family every Sunday. 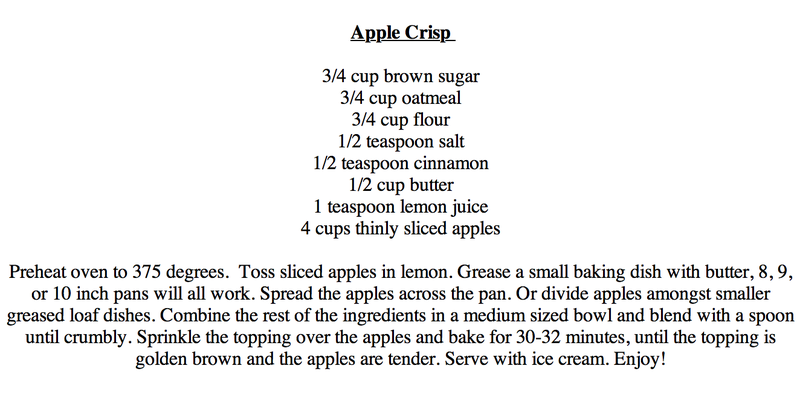 Today it happens to be mini individual apple crisps. I've included my grandma's recipe. It simple, but the best I've had. Happy Sunday. I was just looking for an apple crisp recipe! This looks yummy.